The organisation of the British Church in Roman Britain is very poorly known, but there may have been an archbishop for each of the four Late Roman provinces within the Diocese of the Britains: Maxima Caesariensis at Londinium; Flavis Caesariensis at Lind Colun (Anglian Lindsey, modern Lincoln); Britannia Secunda at Eboracum (British Ebrauc, modern York); and Britannia Prima at Corinum (Caer Ceri, modern Cirencester). This organisation was swept away by the collapse of British government in the fifth and sixth centuries, with a rump church surviving only in the far west and in Ireland. This now-Celtic church was reintroduced into Britain outside of Wales and Cornwall via pagan Pictland, but in the south-east of Britain a rival was introduced from Rome by the Christian Frankish wife of King Æthelbert of Kent. In time this became the dominant church in the British Isles. As metropolitan archbishops, Canterbury and York each have the right and the obligation to confirm the election of new diocesan bishops, and to ordain all new bishops within their province. By ancient and regular precedent the archbishop of Canterbury also has the right to preside at the Eucharist during which he anoints and crowns a new British monarch. 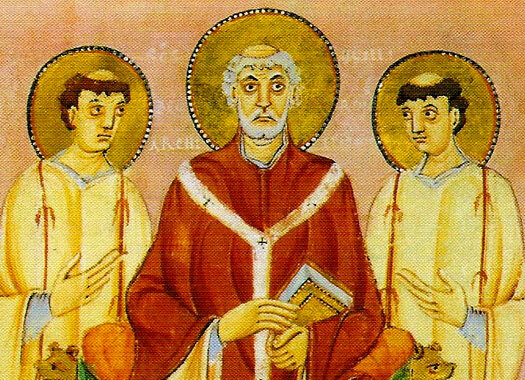 In 596 Augustine is sent by Pope Gregory to England to establish the Catholic church and Christianise the Anglo-Saxons. Landing at Ebbsfleet in 597, he is cautiously received in Kent, thanks to Æthelbert's Christian wife, and, using the already-existing church of St Martin's as his first place of worship, he establishes the archbishopric at Canterbury. Details of his life are scarce, but he had been prior of St Andrew's in Rome before being selected to lead the first mission to England. First archbishop of Canterbury. Died 26 May 604 or 609. The pallium, the symbol of office, is sent by Pope Gregory from Rome, along with a second team of monks and various books and other useful tools. Æthelbert of Kent has himself been baptised by now, and Gregory grants Augustine authority over the southern part of Britain, including its native clergy, the the British Church which has grown out of the collapse of Roman empire. The first meeting takes place between the Roman Church in the form of St Augustine, and the Celtic Church (the descendant of the former British Church of the Roman period). It is arranged when Æthelbert of the Cantware uses the Hwicce as intermediaries, as they possess a church organisation which seems to have survived intact from prior to the Saxon takeover of the region. The meeting occurs at a place Bede names at St Augustine's Oak, on the border between the Hwicce territory and that of the West Seaxe (somewhere on the eastern slopes of the Cotswolds, perhaps near Wychwood in Oxfordshire, which means the 'Hwiccas' wood'). The meeting goes favourably for Augustine. A second meeting is quickly arranged, although perhaps not in the same year. This takes place at Abberley in Worcestershire, probably close to the border between the Hwicce and Pengwern. It is attended by seven bishops of the Celtic Church, along with many learned monks, mainly from Bangor-is-Coed (in Pengwern). The Britons are not impressed with Augustine's imperious manner and the meeting ends in disappointment for the Roman envoy, with no agreements of cooperation or unity being reached between the two churches, especially in regard to the important question of the calculations for Easter and evangelising the pagan English. The failure is a blow for the Roman Church in England (from which it eventually recovers). In around 604, Sæberht is the first East Saxon king to be baptised (by Mellitus, first bishop of London, consecrated by Augustine himself, and later archbishop in his own right), but upon his death the kingdom reverts to paganism. Also in 604, the first church is built at Rochester, within the kingdom of the Cantware. Justus is the first bishop there. Member of the Gregorian mission in 597. Sexred of the East Seaxe shares power with his two brothers, and they jointly agree to expel Mellitus and his Gregorian missionaries from the kingdom, inadvertently ensuring that Canterbury remains the centre of Christianity in England. Mellitus takes refuge in Francia and the entire mission seems to be under threat, especially following the disastrous meetings of 603, the loss of the East Seaxe, and the fact that the new king of the Cantware is a pagan. Justus, bishop of Rochester is also impelled to abandon his see and join Mellitus. Only the fact that Laurentius manages to put the fear of God into Eadbald of the Cantware and convince him to accept baptism saves the presence of the Roman Church in the country. Justus and Mellitus return, although the latter is never able to return to London, which remains part of a pagan kingdom for the remainder of his lifetime. Formerly the first bishop of London. Died 24 April 624. Formerly the first bishop of Rochester. Another lost British Church diocese is re-established by Canterbury. Justus is responsible for consecrating Paulinus as the first bishop of York within the Anglian kingdom of Deira. As well as conducting the baptism of Edwin of Deira, two years later Paulinus also converts the Lindisware and oversees the rebuilding of the church of St Paul in the Bail. The reign of Sigeberht of the East Engle has witnessed the victory of Christianity over paganism in the kingdom. He has rounded off the victory by overseeing the establishment of an East Anglian bishopric based at Dunwich (in Suffolk), which is divided not long afterwards to create a second see at North Elmham (in Norfolk), the division probably reflecting that of the North Folk and Suth Folk. Sigeberht abdicates to become a monk. First Saxon archbishop, a West Saxon. Killed by plague. Deusdedit dies during an apparent epidemic which sweeps the country. Earconberht, king of the Cantware, is also taken suddenly. Wighard is selected to be archbishop by the new king of Kent, Egbert I, perhaps with support from Oswiu of Northumbria. He is sent to Rome to receive consecration from Pope Vitalianus, but is also killed by bubonic plague before the act can be carried out. The post remains vacant for four years. Jutish priest from Kent. Killed by plague. The Synod of Whitby in Northumbria sees Oswiu accept the Catholic church of Rome in preference to the Celtic Church based at Iona and Lindisfarne, thereby sidelining the latter. The seat of the church in Northumbria is moved from Lindisfarne to York. Friend of Pope Vitalianus selected for the post. A reformer of the English church, Theodore is selected so that he can extend Canterbury's limited influence outside the kingdom of Kent and establish its primacy once and for all. One of his changes is a proposal to divide the Northumbrian diocese in two, which brings him into conflict with the forceful personality of the bishop of York, Wilfred. He has to depose and expel the bishop before he can carry out his reform. In the same year, Eadhead (678-679) is consecrated as the first bishop of Lindsey. Theodore establishes a bishopric for the kingdom of the Magonset at Hereford, possibly as a result of a re-organisation agreed at the Synod of Hertford in 673. Merewalh is believed to erect a new cathedral at Hereford (although its location is uncertain) for the new bishop Putta, the former bishop of Rochester in Kent. The see of Worcester is also created, this falling within the territory of the Hwicce. The Franks of the River Main are still pagan, although itinerant Anglo-Saxon monks are just beginning to wander Germanic areas of Europe to spread the word. One of the first of these is the Irish monk, Kilian, who becomes the apostle to the Franks. Around this time he and his companions, Colman and Totnan, arrive at Würzburg to form a proto-bishopric (in lands that later become part of Franconia). The populace refuse his preaching and murder all three of them, following which they become martyrs. The post is vacant for a little over two years following Theodore's death. The reason is the political disturbance of Kent, where rival factions are pursuing claims to the throne, although Bishop Wilfred's wish to take the post based on a promise from Theodore may also be a contributing factor. Former abbot of Reculver (Raculf). Berhtwald works closely with Kent's last strong and fully independent king, Wihtred, to strengthen the kingdom and the church. The parochial structure in England is still in its infancy at this time. There are few churches in existence. Instead, priests are sent out to administer services around a simple cross or perhaps in a small chancel housed under a wooden canopy (such as at St Stephen's, Hackington). It is an era which is dominated by the great ecclesiastical establishments (St Augustine's and Christchurch at Canterbury, Rochester, etc). Wessex-born St Boniface of the church at Canterbury, 'Apostle of the Germans', fells the sacred oak of the Thuringians at Gaesmere (modern Geismar) to symbolise the abolition of their paganism, and they are converted to Christianity en masse. The Chatti are included amongst this group of Germans to be so converted, perhaps better known by now as Hessi. 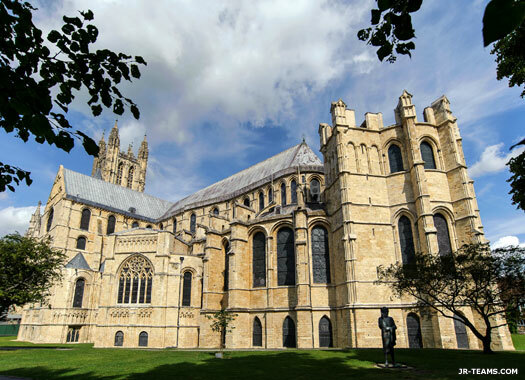 In a further step in Theodore's reforms, the English church is divided into the two provinces of Canterbury and York (the Roman capital of the north). Canterbury still has seniority (although this is not laid down officially until 1353). At this time, Canterbury is still the capital of the Anglian/Jutish kingdom of Kent, while York is part of the Anglian kingdom of Northumbria, where the Venerable Bede has just finished his Historia ecclesiastica gentis Anglorum (Nothelm helped with this by visiting Rome to consult the papal archives on behalf of Bede before becoming archbishop). Bishop Ecgberht, brother of King Eadberht of Northumbria, becomes the first archbishop at York. St Boniface founds the first permanent bishopric of Würzburg (in lands that later become known as Franconia). Burchard is the first incumbent. In or soon after 742, St Willibald founds another bishopric at Eichstatt which includes within its borders the south-eastern regions of the still-forming Franconia. Offa of Mercia, who is busy attempting to impose his control over Kent through a series of pawns, is unable to prevent the election of a staunch supporter of Kentish independence to the office of archbishop of Canterbury. Jænberht, former abbot of St Augustine's, is one of the key players in the subsequent revolt against Mercia and remains an implacable opponent of Offa. Former abbot of St Augustine's Abbey in Canterbury. Britain briefly pays host to a third archdiocese when Offa of Mercia raises the bishopric of Lichfield, as an act of revenge against Canterbury and a desire to halve its power. Following the reassertion of his control over Kent in 785 and his poor relations with Jaenbert, Offa creates a new archbishopric under Hygeberht, bishop of Lichfield within Mercia, which answers to him but which also receives the blessing of the Pope. It lasts until 799 and is officially terminated in 803, with full authority being returned to Canterbury. Archbishop of Lichfield in Mercia. Formerly bishop of Winchester. Mercia's man. Æthelhard is deposed by Eadbert II (Praen) when he seizes the kingdom of Kent from Mercian overlordship. Æthelhard flees to the court of his Mercian supporters and refuses to venture back to Canterbury, even though it seems safe. In 803, he returns to England from Rome and convenes the Council of Clovesho (Clofesho), which re-establishes the prime importance of Canterbury and, with papal authority, asserts the freedom of the church from secular authority. Formerly archdeacon of Christ Church Canterbury. During the reign of Baldred of Kent, Coenwulf of Mercia clearly retains the overlordship of Kent, as it is in this year that he sells the manor of Graveney to Wulfred for the use of Christ Church, Canterbury. Enthroned Jun-Aug but possibly not elected due to a dispute. At some point between these dates, during the incumbency of Ceolnoth, the independent Cornish bishops submit to the English church. Corniu is included within the diocese of Sherborne. The first bishop of Cornwall is Kenstec. The city of Canterbury is sacked during a Viking raid. There are further raids on Kent in 855 and 865. Formerly the first bishop of Wells. Of Danish parentage, possibly from East Anglia. Appointed by Edwy of England but died before taking up the post. Formerly the bishop of Wells. Despite being nominated by King Edwy, Brithelm is deemed unsuitable for the post due to his lack of skill in governance and is sent back to his home diocese of Bath by the new king of all England, Edgar the Peaceful. Dunstan, one of the most important clerical figures of the early Middle Ages, is selected as his replacement. He reforms the English church and restores monastic life. Until Becket (1162-1170), he is the most popular saint in the country. Formerly the bishop of London. Canonised 1029. Formerly the bishop of Selsey. Died 13 Feb.
Sigeric advises Anglo-Saxon king Ethelred II to pay tribute to the invading Danes under Sweyn Forkbeard. Danish raiders kill Alphege before being bought off with a huge bribe, but peace in England from Danish incursions is hard to come by, at least partially due to a massacre of Danes not of the Danelaw in 1002. A Danish occupation of the country takes place under King Sweyn Forkbeard while Ethelred seeks temporary refuge in Normandy. Held captive for a time by Danes in 1014. Former royal priest for Canute in England. King Edward establishes his royal palace by the banks of the River Thames on land known as Thorney Island. Close by is a small Benedictine monastery that had been founded under the patronage of King Edgar and St Dunstan around AD 960. Edward chooses to re-endow and greatly enlarge this monastery, building a large stone church in honour of St Peter the Apostle. The church becomes known as the 'west minster' to distinguish it from St Paul's Cathedral (the east minster) in the City of London. It is consecrated on 28 December 1065, just a few days before Edward's death. His mortal remains are entombed in front of the High Altar. First Norman archbishop of Canterbury. Stigand is deposed by William of Normandy and England and is held at Winchester, where he dies in 1072. His lands and wealth are confiscated by the king. One of Lanfranc's acts is to establish St Nicholas' Hospital in the hamlet of Harbledown to the north-west of Canterbury, which also contains a church and chantry, for the relief of lepers. He also founds many churches, one of which is St Dunstan's to the north-west of Canterbury's Westgate. First canon to become archbishop. William de Corbeil is granted Rochester Castle by the king. He builds (or rebuilds) the keep so that it is a massive stone structure which survives in good order to the present day. In 1133, William de Corbeil consecrates Nigel, Lord High Treasurer, as bishop of Ely. Two years later he is one of the men who is instrumental in securing King Stephen's claim to the English throne in the face of Matilda's superior claim. Becket is murdered by four of the king's knights in Canterbury Cathedral on 29 December following a long-running dispute between him and Henry II Plantagenet over the jurisdiction of the church. The king is generally blamed for the atrocity and, accepting that he is at fault, pays public penance at Becket's tomb, stopping at St Michael's Church in Harbledown and walking to St Dunstan's Church, where he undresses before his walk into the cathedral. It takes Henry another two years before he decides to fill the vacant position of archbishop, and he eventually selects Richard of Dover, the monk who had taken charge of Becket's body and arranged for its immediate burial in Canterbury Cathedral. Elected but declined the post. Died on the Third Crusade to Jerusalem. Elected but died before he could be consecrated. Elected secretly against the king's wishes, denied by the Pope. Elected as the king's choice, but denied by the Pope. A dispute between King John Plantagenet, the monks of Canterbury, and the Pope sees both the secretly-elected choice of the monks and the king's nomination both denied by the pope. Instead, the monks are asked to vote on a new candidate with the pope's full approval, although not the king's. Playing a central role in the disagreement between the Pope and John Plantagenet, Stephen Langton is finally able to enter England as archbishop in 1213. He becomes a leader in the struggle against the king, joining forces with the barons to force John to sign Magna Carta in 1215. Elected, but denied by Henry III and the Pope. Henry III's choice in preference to d'Eynsham. Elected, but denied by the Pope for not being learned. Elected, but resigned at the Papal office. Elected, but failed to win Papal approval. Son of Count Thomas of Savoy. Henry III Plantagenet begins to rebuild Westminster Abbey. The original structure, built by Edward the Confessor, is almost entirely replaced, aside from large portions of the undercroft and Pyx Chamber in the cloisters. 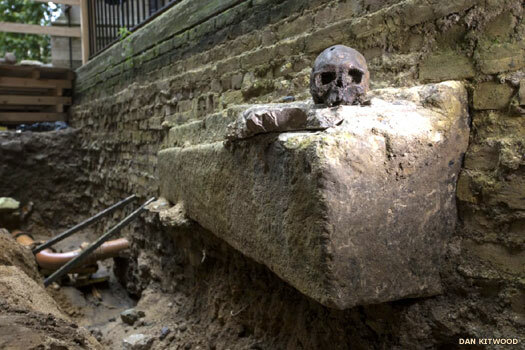 The bones of many burials around the edges of the abbey - probably senior clergy, mostly of the eleventh and twelfth centuries - are stacked up into dense piles like firewood to be found under Victorian drainage pipes by archaeologists in 2015. Some skulls have square holes left by the pickaxes of Henry's workmen. The abbey costs Henry the staggering sum of £45,000. The king's choice. Superseded by the monks' choice, Chiilenden. Elected, but denied by Edward I and the Pope. Appointed to the vacant post by the Pope. The king's choice for a second time, but refused by the Pope. Elected, but denied by Edward II and the Pope. Former First Lord High Treasurer (1307-1310). 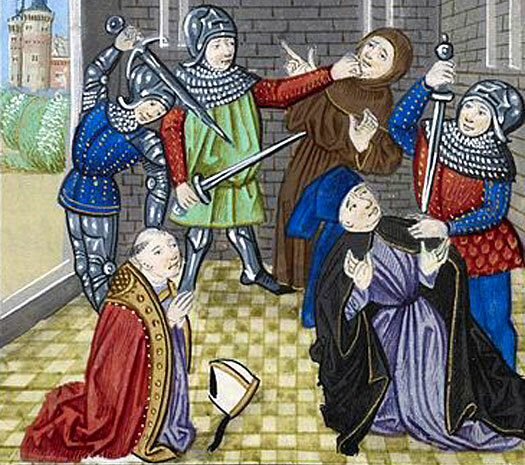 Reynolds defies Edward II Plantagenet and sides with Queen Isabella in her rebellion against him. After having to flee to Kent, in 1327 he declares for Edward III and is appointed a member of the regency council. Former First Lord High Treasurer (1326-1327). Elected, but killed by the Black Plague before being consecrated. Killed by the Black Plague. Canterbury is acknowledged as the senior of the two provinces (the other being York) with the title of 'Primate of All England'. Former First Lord High Treasurer (1344-1356). Edington is elected archbishop by Edward III Plantagenet, but he declines due to ill health. Former First Lord High Treasurer (1360-1363). Responsible for the much-hated poll tax, First Lord High Treasurer, Sir Robert Hales, is beheaded on 14 June on Tower Hill during the Peasants Revolt, along with Archbishop Simon Sudbury. Roger Walden, First Lord High Treasurer of Parliament, becomes archbishop when Arundel is banished. However, his period in that office is short as the new king, Henry IV of Lancaster almost immediately removes and imprisons him, restoring Arundel. Once released from prison, Walden retires from public life. Former First Lord High Treasurer (1395-1398). Henry IV of Lancaster and Archbishop Arundel conspire to kill Richard II. Henry's reign witnesses a heavy level of censorship, and people who cross Arundel could find themselves burnt as a heretic. Geoffrey Chaucer, author of the Canterbury Tales, is outspoken in his mockery of powerful prelates who coveted worldly possessions (including Arundel), and might well be a victim of this oppressive new order. The Wars of the Roses begin with Richard, Duke of York's victory at the Battle of St Albans. Lancastrians are pitched against Yorkists in England for the next thirty years. Archbishop Bourchier does not immediately take sides, and tries to negotiate a reconciliation between the warring houses. Following the return to hostilities in 1459, he appears to take the Yorkist side. Elected, but died before he could take office. The last monastic cleric to be elected to office. A leader in the English Reformation. Cranmer supports the principle of Royal Supremacy in which Henry VIII Tudor is considered sovereign over the church within his realm. Roman Catholic control of the church in England is ended by the English Reformation. Not exactly a movement towards Protestantism at first, the process is notably accelerated under the reigns of Edward and Elizabeth Tudor. 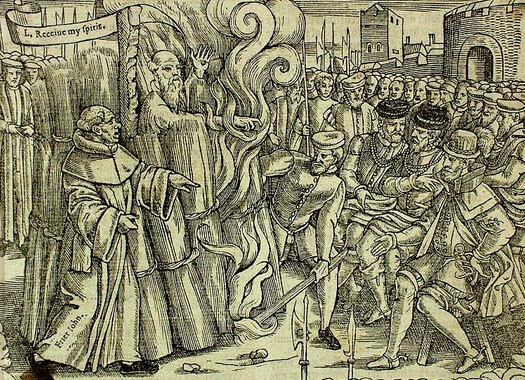 The Acts of Supremacy of 1534 signalled a dramatic change in the control of the church in England. At a sweep, Henry VIII Tudor became its head, removing control from Rome. Between 1536-1541 he went even further. The Dissolution of the Monasteries was the legal process by which he disbanded the monasteries, nunneries and friaries throughout England, disposing of all their assets (including massive tracts of land), mostly by selling them off and making a vast profit, and appropriating their income. 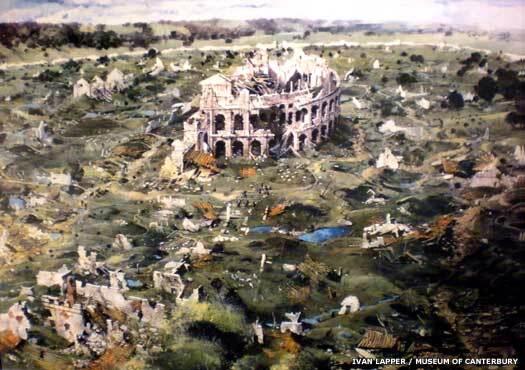 Many monasteries, some of them already many centuries old, were destroyed, most notably at Glastonbury and Canterbury, as well as at many other major Christian locations. On the plus side, dispossessed former members were provided for as long as they acknowledged Henry's position as Supreme Head of the Church in England. The First Suppression Act was passed in 1536, with the Second Suppression Act following in 1539. This signalled the end of Catholic power in the country, although the process would not be finalised until the reign of Elizabeth I.
Archbishop Cranmer has already been tried for treason for his part in placing Jane Grey on the throne. In an act of revenge for his declaring the marriage of Henry VIII to her mother to be invalid, Mary Tudor has Archbishop Cranmer tried for heresy as well. When he recants, an act that should be met with mercy, Mary announces that he shall be burned anyway. The act on a wet 21 March is a propaganda disaster for her, as public sympathy is clearly with the Protestant archbishop. Great-grandnephew of Edward IV of York. When he arrives in London, English Papal legate Reginald Pole is seen to be standing in the ferry boat holding a large cross before him. Sent to rid the country of Protestant heretics under the reign of Mary Tudor he finds his job harder than he thinks, despite addressing Parliament to that end. He dies of influenza on the same day as his cousin Mary, his legatine powers withdrawn and a charge of heresy levelled against him by the Pope. Archbishop Parker is one of the the primary architects of the Thirty-Nine Articles, the defining principles of the Anglican Church, as England seeks to establish the path of its own form of Protestantism. Oversaw production of the King James Bible. Also First Lord Commissioner of the Treasury (1612-1613). William Laud is imprisoned in the Tower of London after being accused of treason by Parliament. In 1645, the Royalists of Charles Stuart are routed at the Battle of Philiphaugh during the English Civil War, defeating the king's cause in Scotland. In the same year, Laud is beheaded at Tower Hill for his High Church stance against the radical Puritanism which is starting to take hold in the country. The office remains vacant for the duration of the Commonwealth. Appointed by the restored Stuart monarchy. Sancroft is suspended from and deprived of office thanks to his refusal to take the oath with the new king and queen, William of Orange and Mary Stuart. Formerly chaplain to Archbishop Tenison. Formerly archbishop of York (1747-1757). Died suddenly. Uncle to later governor-general of India, Charles Cornwallis. The first secession from the general stream of Wesleyan Methodism in Great Britain occurs when, under the leadership of Alexander Kilham, a Wesleyan minister, the Methodist New Connexion is formed. A division of Wesleyan Methodism opens up when various secessions from the main body form. These become known as Independent Methodist Churches, and many of them continue to this day. The birth of Primitive Methodism is generally attributed to an event known as the 'All Day of Prayer' (which is sometimes mislabelled as a 'Camp Meeting'). This is held at Mow Cop, in The Potteries in Staffordshire on 31 May 1807. This movement, which is more zealous than general Wesleyan Methodism, and results in it splitting away from the Main Methodist church. A further split in Wesleyan Methodism occurs when a group known as The Bible Christians (the only group not to include the word 'Methodist' in their title) is formed in the West Country, but they are an off-shoot of the parent body rather than a fully independent grouping. A small group that becomes known as the Protestant Methodists is formed in Leeds as another, minor, division of Wesleyan Methodism. Yet another, minor, split in Wesleyan Methodism takes place when a group known as the Wesleyan Methodist Association is formed. Archbishop Howley is one of the two men who proceed to Kensington Palace at 5:00am on 20 June to inform Princess Victoria that she is now queen of Great Britain and Ireland. 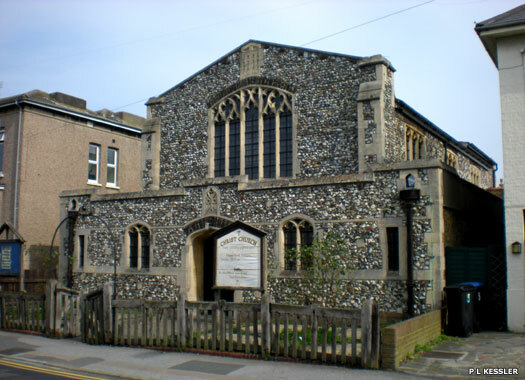 In 1851, the Church of St Gregory the Great is built in Canterbury as a memorial to him. As a response to the High Church Anglo-Catholism of Henry Phillpotts, bishop of Exeter, the Low Church Free Church of England is formed, initially with support from Edward Adolphus St Maur, the eleventh duke of Somerset, who builds the first church in Bridgetown in Devon. The final disruption to Wesleyan Methodism takes place under certain individuals who are determined to reform it. These people became known as Wesleyan Reformers. Unsuccessful in their reforming zeal, they eventually join forces with the Protestant Methodists and the Wesleyan Methodist Association to constitute what becomes known as the United Methodist Free Churches (in 1857). Not all of the reformers join this united church, instead forming their own under the title the Wesleyan Reform Union, which continues to the present day. The Free Church of England (otherwise called the Reformed Episcopal Church) is enrolled as a definite legal entity in the High Court of Chancery. The first Pan-Anglican conference of British, colonial and foreign bishops takes place at Lambeth Palace under Archbishop Longley. First archbishop to retire from office instead of dying there. Three of the divided groups in Methodism come together to strengthen mainstream Methodism. These are the United Methodist Free Churches, the Methodist New Connexion, and the Bible Christians. Together they form the United Methodist Church. By this time, William Booth's Salvation Army is at work in a total of fifty-eight countries around the world. While this is not an off-shoot or division of Methodism, William Booth had been a Methodist minister in his early years. The Province of Canterbury, and by definition the Church of England, no longer includes the bishops and dioceses in Wales. A final union is effected between three main surviving branches of Methodism. These are the United Methodist Church, the Primitive Methodist Church, and the Wesleyan Methodist Church. Today they form the mainstream Methodist Church, although some of the minor branches survive. Son of Archbishop Frederick Temple (1896-1902). Archbishop Fisher is the first incumbent of his office to visit the Pope since the Reformation. One hundredth official archbishop. Retired. The Congregational Church merges with the Presbyterians to form the United Reformed Church. Some churches which had left the Congregational Union when it became the Congregational Church in England and Wales, had formed an Evangelical Fellowship of Congregational Churches. This body continues alongside the Congregational Federation after 1972. Many Congregational churches do not associate with either of the continuing Congregational associations and are known as Unaffiliated Congregational churches. 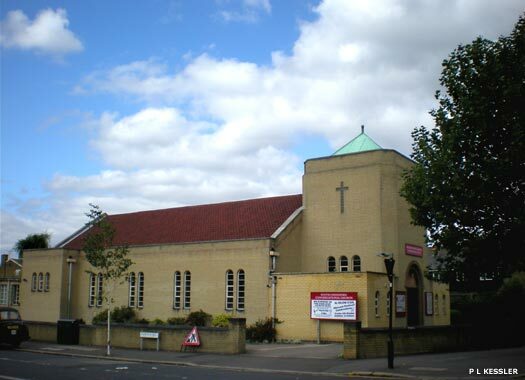 Sadly, due to falling attendances after the Second World War and to the merger, a sizable majority of Congregational church buildings are closed down and often demolished, far more than with most other denominations of nonconformist church buildings. Formerly archbishop of York (1965-1974). Retired. Formerly archbishop of Durham (2012). In July the Church of England's General Synod in York votes to allow women to wield real power in the church, two years after the Synod had previously voted 'no'. On 17 November, the Church of England breaks with centuries of tradition (but perhaps follows a more authentic early church organisation) after its general synod amends church law to allow the appointment of female bishops. The first female bishop is expected to be installed in the new year. In February, following a vote by the General Synod to end a law that dates back to 1603, churches are no longer legally required to hold a service every Sunday. Such is the decline in clergy numbers, some vicars have become responsible for up to twenty churches in their area. Vicars in rural parts of the country have said that they have been unable to abide by the law and have been left with little choice but to break it. Growing numbers of parishes have taken to holding a single combined Sunday worship where previously each church would have held separate service.